Say women, think entrepreneurs. As part of a broader commitment to create 65,000 new female-led businesses by 2025, through inspiring and supporting 400,000 women to consider enterprise as a career option, Natwest, the British retail bank part of the Royal Bank of Scotland Group (RBS), launched yesterday (18 March 2019) a crowdfunding programme targeting female entrepreneurs. 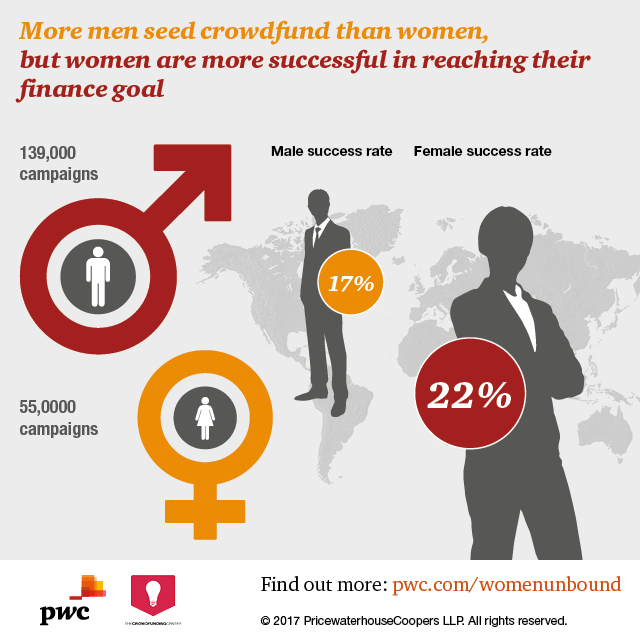 With the aim of reducing the gender gap when it comes to entrepreneurship, the project “is a brilliant opportunity for more women across the UK to turn their ideas into reality,” reckons Rob Love, CEO of the UK-based impact crowdfunding platform, Crowdfunder, that will provide the infrastructure and access to network, with the bank acting as a connector and enabler. Entitled Back Her Business, the initiative will enable women to prepare their business idea for crowdfunding by “using the bank’s Entrepreneur Accelerator programme, our Women in Business proposition and industry experts,” explains Jill Arnold, NatWest’s Sustainable Banking Lead, Enterprise, whose team developed the idea. Moreover, though most of the funding will come from the crowd the bank will provide a top-up in funding of £1m per annum and will be offering up to 50% of an individual’s fundraising target (capped at £5,000) for certain successful projects. The programme, which will not be equity crowdfunding but donation and reward based, is part of NatWest’s wider commitment to helping female entrepreneurship to grow. The conditions for the success of the initiative seem right so far: if on the one hand data confirm that women are half as likely as men to start a business and that if women started businesses at the same rate as men it would add £250bn to the UK economy equalling 4 years’ of natural GVA (Gross Value Added), on the other a recent report shows that, on a global scale, crowdfunding campaigns led by women consistently outperform those led by men. Finally, RBS is not new to alternative finance as the Group, to integrate their commercial offer to British startups and SMEs, has created over the past years a panel of alternative funding suppliers including the likes of Seedrs, Funding Circle, Assetz Capital, iwoca, Together, and Royal Bank of Scotland Social & Community Capital.